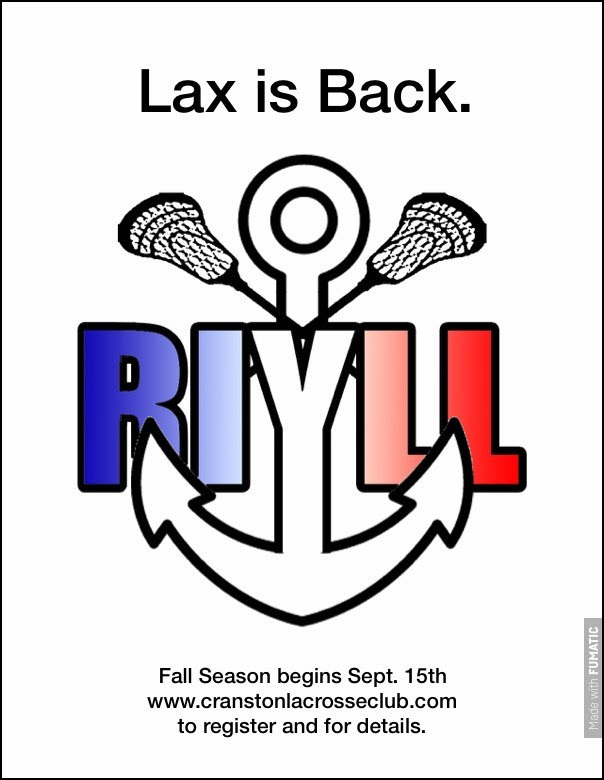 Attention all RIYLL players - Fall Ball is Back!! 7 v 7 games, new teams every week based on who is in attendance. This is a great way for all of our players to socialize, meet players from around the State and have fun playing the game in a relaxed atmosphere. Go to www.cranstonlacrosseclub.com to register TODAY!